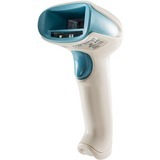 In need of Barcode Scanners? POS Global has complete line of Barcode Scanners, Scanner Scales, 1D Barcode Scanners, 2D Barcode Scanners, Laser Barcode Scanners, CCD Barcode Scanners, Image Scanners, Wearable Scanners, Barcode Verifiers, HandHeld Barcode Scanners, Presentation Barcode Scanners, Fixed-Mount Barcode Scanners. You can browse online today and feel free to contact us for more information or to better understand how our products can benefit you. Plan on buying something else? Don't forget to purchase Barcode Printers.